My name is Bahati which means ‘luck’ in Swahili and I arrived at Ngamba in 1998. 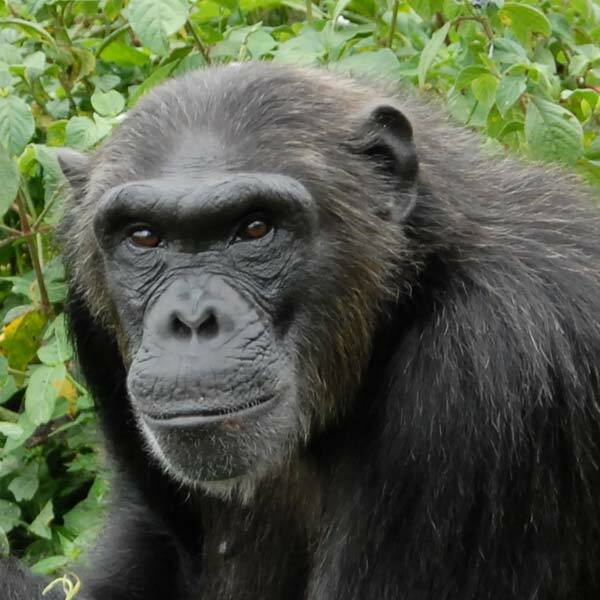 I love spending time with the younger chimps and enjoy a relatively high rank. I’m very smart and when the caregivers try and hide medication in my food I can always smell it and will reject the food. I’m scared of water so I never go into the lake but like to watch the other chimps playing in the water.